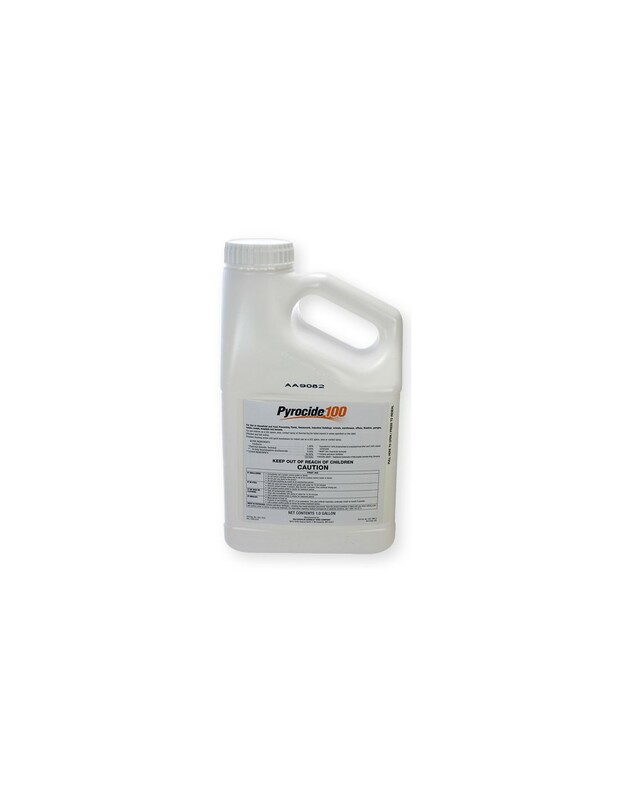 MGK Pyrocide 100 (1% pyrethrum) Pyrocide dual-synergized fogging concentrates provide both flushing action and quick knockdown of a wide range of pests. Labeled for use in Food Processing and Stored Food Areas Effective and fast acting. 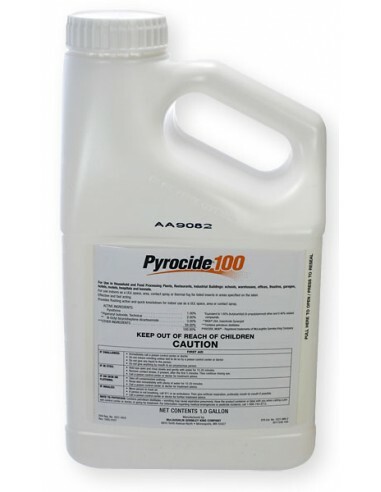 MGK PYROCIDE 100 PYRETHRUM is a dual-synergized fogging concentrate that provides flushing action and quick knockdown. Pyrocide 100 is made exclusively with Pyrethrum refined in the USA, at MGK's Chaska, Minnesota facility. Pyrocide is effective, fast-acting and economical to use. MGK PYROCIDE 100 PYRETHRUM can be used in homes, restaurants, food processing plants and other industrial areas. MGK PYROCIDE 100 PYRETHRUM is used to kill a variety of flies, mosquitoes, moths, fleas, gnats, wasps, hornets, clover & cheese mites. For effective, fast-acting and economical use, you'll want to make MGK PYROCIDE 100 PYRETHRUM THE product you keep in stock!